Our goal: to increase the proportion of adults in Illinois with high-quality degrees and credentials to 60% by the year 2025. Article number 1 - Welcome! 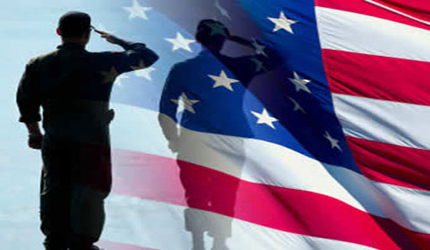 Article number 3 - Resources for Students from Military Families Now Available! The Illinois P-20 Council is working to improve birth to adulthood education in Illinois, to maximize students' educational attainment, opportunities for success in the workforce, and contributions to their local communities. The 30-member Council, appointed by the Governor, includes business leaders, teachers, union leaders, faculty, school board members, parents, and representatives of private colleges, universities, community colleges, foundations, and state education and workforce agencies. Four legislators are appointed to the Council by the Illinois House and Senate majority and minority leaders. 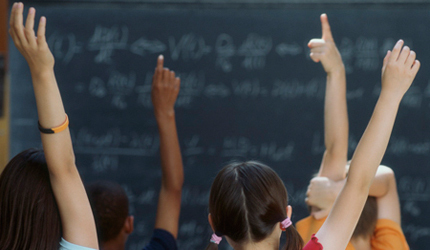 We invite you to join in the work of improving our Illinois education system, and to explore the resources available on this website. Resources for Students from Military Families Now Available! The IL Educational Opportunities for Military Children Council has worked closely with the IL State Board of Education, the P-20 Council, military family representatives, local school districts, and many other stakeholders to develop a Frequently Asked Questions document as well as a Resource Tool Kit to help ease transitions for children from military families into Illinois schools. Both documents as well as other resources available on the Comprehensive System of Learning Supports page of the ISBE website. The Illinois Pathways Initiative was launched in 2011 as part of Illinois' Race to the Top award. Through the Pathways Initiative 9 STEM Learning Exchanges were established featuring public-private partnerships which bring together education and business stakeholders to expose students to rigorous coursework, work based learning opportunities as well as advising and support services to help them meet their academic and career goals. Learn more about IL Pathways and how you can join a local network to support the education to employment pipeline! 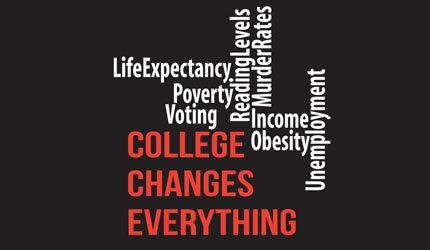 College Changes Everything™ is a College Access Movement initiated by the Illinois Student Assistance Commission (ISAC). Its goal is to tell a story: how postsecondary education changes lives. On July 17, 2014 in Tinley Park ISAC hosted its fourth annual statewide College Changes Everything conference to support Illinois as it works to reach its goal to increase the proportion of adults in Illinois with high-quality degrees and credentials to 60% by the year 2025. Conference materials and guest presentations now available on CCE webpage!